A delegation of representatives from Morocco is in Wellington this week to make their case over the ongoing purchase of minerals from the region by two New Zealand fertiliser co-operatives. Phosphate taken from a mine in the region is considered by the Saharawi people to be stolen by Morocco, which annexed the area in 1975. The New Zealand co-operatives, Ballance Agri-Nutrients and Ravensdown, have become the only known independent companies in the world buying from the mine. It has thrust New Zealand into the centre of one of the world's most protracted refugee crises. Refugees have pleaded with New Zealand to stop the trade, which they see as a roadblock to the long-running peace process. Ardern is one of the few westerners to have visited the Saharawi refugee camps. She went in 2008 as part of a delegation from the International Union of Socialist Youth, of which she was president. Ardern has publicly referred to the experience several times since then. She mentioned Western Sahara in her maiden speech to Parliament, and again in 2015, with a piece in Villainesse arguing for an increase in the refugee quota: "They were educated, frustrated and angry," she wrote, referring to refugees she met in the camps. "[M]ore than anything else, the people who lived there just wanted the chance to go home." Her connection to the situation has been seized upon by the Polisario, who see it as a rare opportunity to raise awareness of their plight. "[Ardern] has seen with her own eyes the situation of our people," said Kamal Fadel, a Polisario Front representative. "We urge New Zealanders and their representative to act now to end the crime committed against our people by Kiwi companies. "We particularly appeal to [Ardern] to make this issue a priority during her term of office." The Polisario Front's president, Brahim Ghali, made the same plea in a congratulatory message to Ardern following Labour's election victory. At Parliament on Wednesday, Ardern acknowledged she had visited refugees from Western Sahara at camps in Tindouf, Algeria, in 2008. Foreign Minister Winston Peters said he understood Ardern would be meeting with the delegation, but Ardern said she had not had any request to do so. Asked if the Government could do more to prevent the importation, Ardern said: "Yes, I think there is something to be said for making sure that there is that diversity in importation and that we are following international law and are live to the risks that exist there." The Green Party is calling for a select committee inquiry into the trade and will meet with the Moroccan delegation on Thursday to raise its concerns. "It's long overdue that we examine the human and environmental implications of buying this resource from Morocco," said the party's human rights spokeswoman Golriz Ghahraman. "Increasing international pressure is coming on New Zealand to halt imports of stolen phosphate. It is well overdue we interrogate the human rights and environmental implications of purchasing this product". The government could ban trade from the region, but it would likely cause a diplomatic standoff with Morocco, which has vigorously defended its occupation. National Party leader Simon Bridges said farmers needed fertilisers "and we will need to get them from somewhere". "I suspect there would be other ways to fight our corner and stand up for what's right than just banning, say an import from a particular part of the world." 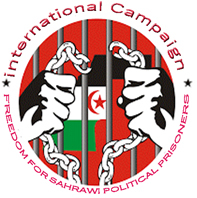 A referendum on the topic of Saharawi independence was promised by the UN in 1991 but has never happened. Critics of the occupation say Morocco, which would have to cooperate with the peace process, has no desire to, because it profits from its occupation. More than a dozen global companies that previously bought Western Saharan phosphate have stopped in recent years, according to data from Western Saharan Resource Watch (WSRW), an NGO that monitors trade from the region. Some of them - such as Australian company Wesfarmers and US based Mosaic - cited ethical concerns as one reason. The world's largest wealth fund, the Norwegian Sovereign Fund, has blacklisted companies that trade in Western Sahara, as have several European banks. The world's largest shipping company, Maersk, no longer ships from the region. Because they are co-operatives, Ballance and Ravensdown have been resistant to the pressures that succeeded elsewhere, said WSRS chairman Erik Hagen. "The only two cooperatives involved in this entire sector, owned by the farmers of New Zealand, seem untouchable," he said. "The world's biggest banks are more up to speed on the reputational and legal risks, and the ethical dilemmas of this, than the farmers of New Zealand." The companies have no plans to stop importing Western Saharan phosphate. They argue the mine employs thousands of Saharawis remaining in the occupied area, and invests in social programmes locally. The supplier, OCP, met both companies' ethical criteria. "They've certainly put a lot back into the community around housing and education, and we've seen independent reports that support that," said Mike Whitty, Ravensdown head of supply. "You can see the benefits that are coming from the local industry there. Laayoune has benefited significantly from the investment occurring as a result of phosphate." Ballance chief executive Mark Wynne visited Bou Craa earlier this year to check on the activities at the mine. "We go through the whole supply chain integrity and look at the social programmes our partner runs," he said. "We look at health and safety, we look at talent development, fairness, labour laws, all of those things. We're obviously satisfied legally, but ethically, we want to satisfy ourselves too." Both companies said they were keenly aware of the geopolitical issues, but alternative sources of phosphate came with their own issues. Morocco attacks against UN chief: Ban Ki-moon voices "deep disappointment," "anger"